Before we get started we’ll need to install and gather the following. Node.js to run the application. A Twilio account (sign up for a free account here). I’ll also assume you have a basic understanding of how React works. If you’re just beginning with React I’d suggest checking out my buddy Sam’s blog post for a great introduction. 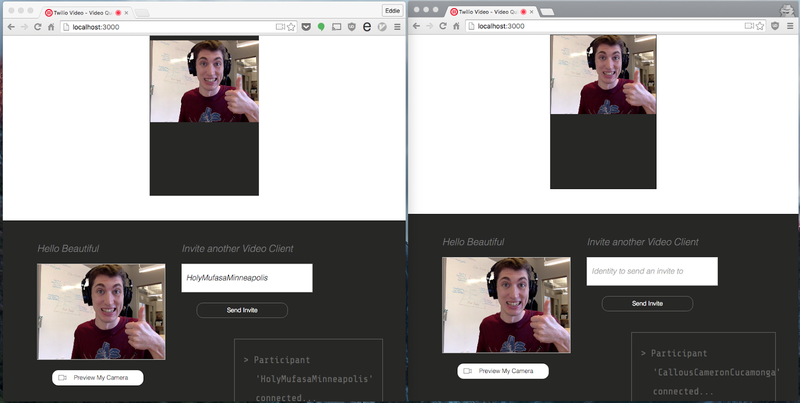 Start by cloning and setting up the Twilio Video Node.js Quickstart which will give us a sample Twilio Video app built with jQuery. We’ll use this a springboard to get started. Run through the README.md which should take about 5 minutes to get the app up and running. Open two browser tabs and start a conversation by pasting the generated identity from one into the other box. The list is a bit long so brace yourself. 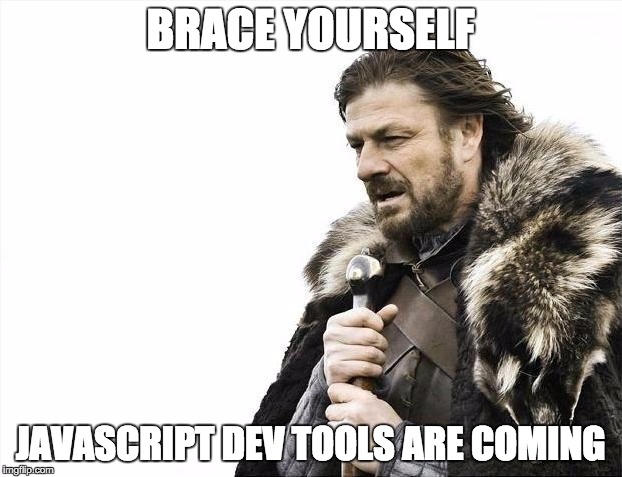 Let’s get the file we’ll need to configure Webpack and Babel created. This is a very basic config that you can reuse for most projects. Next replace public/index.html with the following. Start up the server and look for the Webpack output as a sanity check. It’s time to create our React component which we’ll call ConversationContainer. Our goal is to move as much of the Twilio Conversation logic into our component as possible. Inside of the conversationStarted function is where we’ll want to trigger the mounting and unmounting of the component. Replace the entire function with the following. Notice how we’ve removed the conversation logic; we’ll move it inside the component. ‘s where participant media gets attached. Note the ref= attribute on these div‘s – this makes finding these elements inside of our component a breeze. The componentDidMount and componentWillUnmount methods now handle the conversation logic from earlier. The lifecycle methods of React components are very versatile and solve a slew of state problems for you. Finally, let’s add some simple CSS to make sure everything still looks great. Create public/style.css with the following. We’re now ready to start the application up and test our changes. Fire up the server by running the following. Just like before, open up http://localhost:3000 in two browser tabs and start a call. React kicks in immediately and attaches the shiny new component to the DOM. Close one tab and watch the other conversation magically be unmounted and ready to be reused. The changes we’ve made may not seem like much. 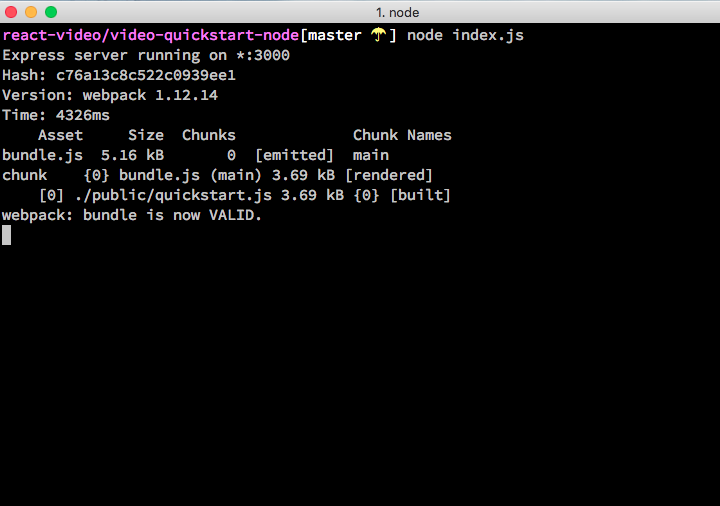 In fact, here’s a diff of public/quickstart.js. This brevity is spectacular considering we just introduced a new framework to our application. Slowly replacing pieces of you application with small components like this one is a great way to get started with React. The real power will come as more more components are introduced and state management falls under one umbrella. Replace another piece of the application with a React component. Have a go at the invite box. Add a new feature to the ConversationContainer such as CSS filters for the video. Let me know on Twitter or in the comments below what you’ve built! Hang out with me on Twitch Creative.